This article was originally published in my Winter 2019 Newsletter. Over the last four months I have been shooting a lot with the new Nikon Z mirrorless cameras as can be seen in the last few Newsletter equipment reviews. At first, I thought the new cameras were cute, tiny little gizmos that were a great addition to the camera bag alongside my two venerable Nikon D850 camera bodies and my Hasselblad. Now, after four straight months of shooting mostly mirrorless, I have had to pick up and shoot with the D850 and the Hasselblad again on recent assignments—and I have to say the little Z 6 is so easy to shoot with, and so light, that I wish it was on par in every way with my D850. If the Nikon Z mirrorless cameras had the same autofocus capabilities as the D850 I can honestly say that I would sell my D850 camera bodies and commit fully to the Nikon Z mirrorless system. I am sold on mirrorless already—and it didn’t take very long at all to come around to the new technology. Why am I sold on mirrorless? It is just faster. The live histogram visible in the viewfinder is a huge part of it. With that live histogram in the viewfinder I know before I take the shot that I have the right exposure. No more “take a photo and chimp on the back of the camera” to see if the histogram looks good. Also, having the level feature available in the viewfinder is also a nice addition and not something that is possible in a DSLR. By hitting the “i” button I can bring up a whole host of items to change on the fly quickly and easily. And not to be forgotten, the in-body image-stabilization (IBIS) is incredibly useful for capturing sharp images in low light. Aside from specific features, the ergonomics of the Z 6 have really won me over. 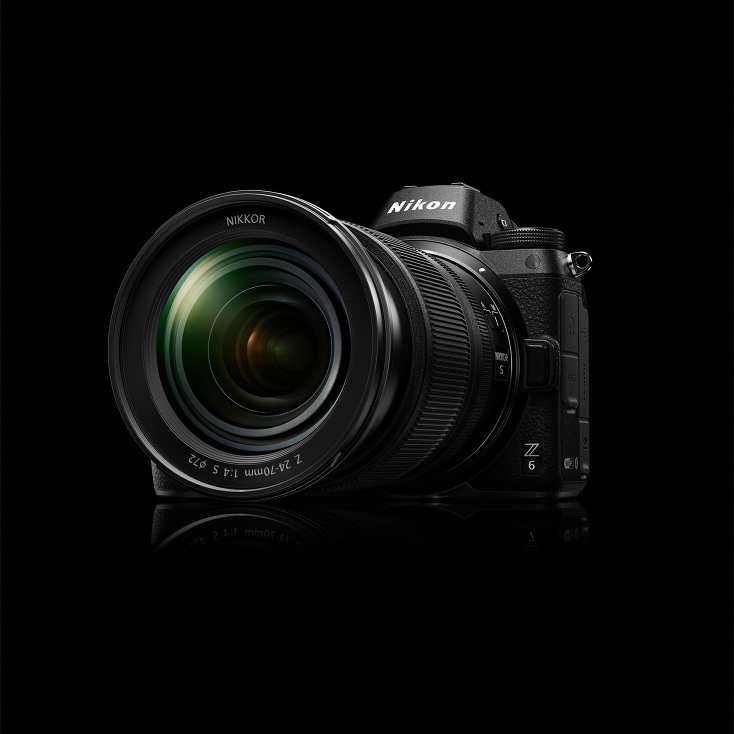 Nikon did an incredible job with the Z-series cameras. It is astonishing they were able to shrink them down into such a small, compact body and somehow improved the ergonomics over and above my D850 DSLR. I didn’t think I would be saying this ever when I first started shooting with the Z 7 (or the Z 6) but all of the button placements allow me to really keep the camera to my eye and adjust pretty much anything on the fly without breaking concentration on the subject. In the end, all of these features add up to a superb camera system with stellar new lenses. I cannot wait for the Nikkor Z 14-30mm f/4 and 70-200mm f/2.8 lenses to be released so that I can have a basic lightweight kit. If Nikon can improve the AF tracking with the new firmware update promised for May 2019, that might push me over the edge towards selling at least one of my D850 DSLR camera bodies. We will have to wait and see, but as the guy who thought he would never go mirrorless, this op-ed is quite the reversal in just a few short months. Bravo Nikon! Bring on the firmware updates and keep improving these already stellar cameras. Since writing the above editorial in the Perspective section of my Winter 2019 Newsletter, I have shot a lot more fast-paced action with the Nikon Z 6. I just returned from Hawaii where I photographed surfing for a few weeks and I shot mostly with the Z 6 to test it out and to see just how well it’s autofocus works with moving subjects. I will say that surfing isn’t the toughest AF challenge in the adventure sports world because the surfers are typically moving in a predictable path, but they are often moving quickly across the frame. As shown in the image below, the Z 6 did a fantastic job in AF-C Dynamic continuous focus mode tracking Billy Kemper (the surfer) even when he launched off the top of the wave. After two weeks shooting surfing, I still have more testing to do, but I have to say that many of the online reviews of the Z series cameras seem to be a bit overblown in terms of their criticism of Nikon Z series cameras autofocus tracking capabilities. Sure, it isn’t as good as the unbelievably amazing D5 or D850, but I have found the Nikon Z 6 is a capable camera. If Nikon can improve upon its AF tracking (and the eye tracking in the new firmware update is as good as we hope) the Z 6 could become a bonafide action camera. Thanks for the review. Based on your review I’m renting the Z 6 this weekend for short assignment. I’ll have my trusty d810 and Z 6 together to compare images. I was aiming for the d850, but it’s a little out of reach at the moment. But, if I’m not thrilled with the Z I will wait longer. On another note, thank you for the Workflow ebook. It has been a huge help in designing my own backup system as well as many other topics. Excellent work!